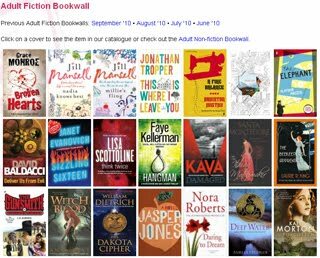 Do you like to browse books by their cover, or want to see what is new in the library then check out our bookwalls. We have an adult fiction bookwall, an adult non-fiction bookwall and also a junior bookwall, so whether you want to bake cupcakes, or just want to lose yourself in a fantasy – we have you covered. PreviousVegan cupcakes take over the world!